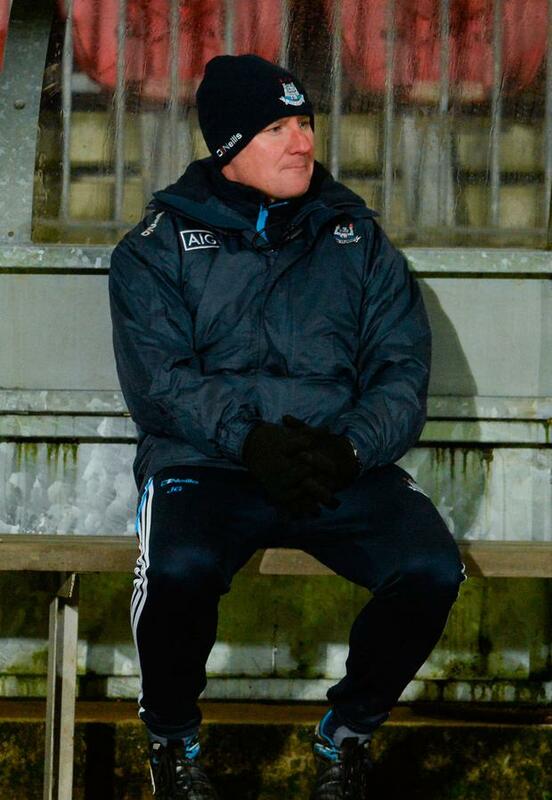 Dublin's All-Ireland-winning boss Jim Gavin has called on the GAA to give priority to the university GAA championships by postponing the start of the Allianz Leagues. The seasonal saga over the dual commitments facing talented young players took a fresh twist last week when Dublin's Brian Howard didn't travel to Tralee to play for Dublin Institute of Technology in the quarter-final of the Sigerson Cup. Howard, who won an All-Ireland U-21 medal in 2017, is on target to secure a first team place with Dublin this season having started their three league games. But unlike the majority of his contemporaries caught in this juggling act, he appears to be prioritising his inter-county commitments. Gavin neatly sidelined the Howard issue at a press briefing following Dublin's win over Donegal on Saturday night during which the Raheny player scored a point. "I've always said to the players that their life is defined by the choices they make, be that professionally, academically, or sporting. I have a dressing room of grown men, and they simply make their decisions based on what is best for their professional, academic or sporting careers. "It's the same issue that comes up every January and February about the Fitzgibbon, Sigerson and Trench Cups. I'm surprised we're still playing National Football League games in the last week of January and the first week of February. "There is no need for it. I think Sigerson and Fitzgibbon are very important competitions. I think it's a great competition. I've been an advocate of it for a long time. You can't play (the universities championships) before Christmas break because of exams, and that's the most important thing for students, to get their exams. "Some universities and third-level institutions do have exams post-Christmas. These competitions need to be given space. "It's simply a matter of pushing back the National Football and Hurling League. It's a simple solution but I don't think anyone is listening," he suggested. Yesterday's postponement of the Division 1 game between Kerry and Monaghan and its possible rescheduling for next weekend compounds the issue as the Sigerson semi-finals are fixed for next Wednesday with the final on Saturday. Kerry's first-choice midfield pairing of Jack Barry and Barry O'Sullivan are due to play for UCD against UUJ and it also remains to be seen whether Howard will play for DIT in the other semi-final against NUIG. "I understand it is challenging for Croke Park to match all the fixtures but maybe some day by accident we will fall into a good system," declared Gavin.